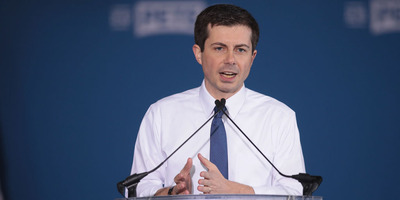 Scott Olson/Getty ImagesSouth Bend Mayor Pete Buttigieg announces that he will be seeking the Democratic nomination for president during a rally in the old Studebaker car factory on April 14, 2019 in South Bend, Indiana. “To the people of France, I would like to say that Notre Dame Cathedral was like a gift to the human race. We share in the pain but we also thank you for this gift to civilisation,” he said to the channel.